Match ends, Celta de Vigo 3, Las Palmas 3. 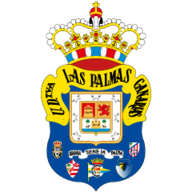 Second Half ends, Celta de Vigo 3, Las Palmas 3. Attempt blocked. Daniel Wass (Celta de Vigo) right footed shot from outside the box is blocked. Assisted by Jonny. Nolito (Celta de Vigo) wins a free kick on the left wing. Foul by Mubarak Wakaso (Las Palmas). Attempt missed. Nolito (Celta de Vigo) right footed shot from outside the box is close, but misses to the right from a direct free kick. Sergio Araujo (Las Palmas) is shown the yellow card. Aythami (Las Palmas) is shown the yellow card. Foul by Antolin Alcaraz (Las Palmas). Corner, Celta de Vigo. Conceded by Raúl Lizoain. Attempt saved. Augusto Fernández (Celta de Vigo) right footed shot from outside the box is saved in the top centre of the goal. Assisted by Daniel Wass. Attempt saved. Gustavo Cabral (Celta de Vigo) header from the centre of the box is saved in the top centre of the goal. Assisted by Nolito with a cross. Corner, Celta de Vigo. Conceded by Antolin Alcaraz. Attempt blocked. Nolito (Celta de Vigo) right footed shot from the left side of the box is blocked. Assisted by Fabián Orellana. Substitution, Las Palmas. Mubarak Wakaso replaces Jonathan Viera. Gustavo Cabral (Celta de Vigo) wins a free kick in the defensive half. Substitution, Celta de Vigo. Theo Bongonda replaces Hugo Mallo. Juan Emmanuel Culio (Las Palmas) wins a free kick in the defensive half. Corner, Celta de Vigo. Conceded by Pedro Bigas. Attempt saved. Iago Aspas (Celta de Vigo) left footed shot from the centre of the box is saved in the top centre of the goal. Assisted by John Guidetti. Foul by Gustavo Cabral (Celta de Vigo). Juan Emmanuel Culio (Las Palmas) wins a free kick on the left wing. Attempt saved. Iago Aspas (Celta de Vigo) left footed shot from the right side of the box is saved in the bottom left corner. Assisted by Nolito. Goal! Celta de Vigo 3, Las Palmas 3. David Simón (Las Palmas) left footed shot from the centre of the box to the bottom right corner. Assisted by Juan Emmanuel Culio with a through ball. Attempt saved. Iago Aspas (Celta de Vigo) left footed shot from the centre of the box is saved in the centre of the goal. Assisted by Nolito. Augusto Fernández (Celta de Vigo) wins a free kick in the defensive half. Attempt missed. Fabián Orellana (Celta de Vigo) right footed shot from outside the box is just a bit too high. Assisted by Andreu Fontás. Substitution, Celta de Vigo. John Guidetti replaces Pablo Hernández. Attempt missed. Hernán (Las Palmas) right footed shot from outside the box is close, but misses to the left following a corner. Corner, Las Palmas. Conceded by Sergio Álvarez. Attempt saved. Sergio Araujo (Las Palmas) right footed shot from the right side of the box is saved in the bottom right corner. Assisted by Jonathan Viera. Offside, Celta de Vigo. Iago Aspas tries a through ball, but Fabián Orellana is caught offside. Goal! Celta de Vigo 3, Las Palmas 2. Sergio Araujo (Las Palmas) right footed shot from a difficult angle on the left to the centre of the goal. Assisted by Antolin Alcaraz with a headed pass following a set piece situation. Pedro Bigas (Las Palmas) wins a free kick on the left wing. Foul by Pablo Hernández (Celta de Vigo). Pedro Bigas (Las Palmas) wins a free kick in the defensive half. Foul by Jonny (Celta de Vigo). Sergio Araujo (Las Palmas) wins a free kick in the attacking half. Substitution, Las Palmas. Aythami replaces Roque. Antolin Alcaraz (Las Palmas) is shown the yellow card for a bad foul. Pablo Hernández (Celta de Vigo) wins a free kick in the attacking half. Attempt blocked. Nolito (Celta de Vigo) right footed shot from the left side of the box is blocked. Assisted by Iago Aspas. Attempt missed. Iago Aspas (Celta de Vigo) left footed shot from the centre of the box misses to the left. Goal! Celta de Vigo 3, Las Palmas 1. Nolito (Celta de Vigo) right footed shot from the centre of the box to the bottom left corner. Assisted by Iago Aspas. Attempt missed. Daniel Wass (Celta de Vigo) right footed shot from outside the box is just a bit too high. Assisted by Fabián Orellana. Second Half begins Celta de Vigo 2, Las Palmas 1. First Half ends, Celta de Vigo 2, Las Palmas 1. Attempt missed. Juan Emmanuel Culio (Las Palmas) left footed shot from long range on the left is close, but misses to the right. Assisted by Jonathan Viera. Attempt saved. Fabián Orellana (Celta de Vigo) right footed shot from a difficult angle on the right is saved in the centre of the goal. Assisted by Jonny. Foul by Juan Emmanuel Culio (Las Palmas). Attempt blocked. Pablo Hernández (Celta de Vigo) left footed shot from outside the box is blocked. Attempt saved. Jonathan Viera (Las Palmas) right footed shot from outside the box is saved in the centre of the goal. Assisted by Juan Emmanuel Culio. Dangerous play by David Simón (Las Palmas). Roque (Las Palmas) wins a free kick in the attacking half. Jonathan Viera (Las Palmas) wins a free kick in the attacking half. Attempt missed. Pablo Hernández (Celta de Vigo) left footed shot from outside the box is close, but misses to the left. Assisted by Hugo Mallo. Foul by Nolito (Celta de Vigo). David Simón (Las Palmas) wins a free kick on the right wing. Roque (Las Palmas) wins a free kick in the defensive half. Attempt missed. Jonathan Viera (Las Palmas) right footed shot from outside the box is just a bit too high. Assisted by Juan Emmanuel Culio. Offside, Las Palmas. Juan Emmanuel Culio tries a through ball, but Sergio Araujo is caught offside. Attempt saved. Nolito (Celta de Vigo) right footed shot from outside the box is saved in the centre of the goal. Assisted by Pablo Hernández. Goal! Celta de Vigo 2, Las Palmas 1. Sergio Araujo (Las Palmas) right footed shot from the right side of the six yard box to the centre of the goal. Assisted by David Simón. Jonathan Viera (Las Palmas) wins a free kick on the right wing. Foul by Daniel Wass (Celta de Vigo). Dani Castellano (Las Palmas) wins a free kick in the defensive half. Hernán (Las Palmas) wins a free kick in the defensive half. Goal! 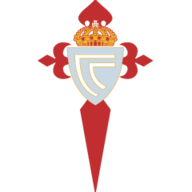 Celta de Vigo 2, Las Palmas 0. Daniel Wass (Celta de Vigo) right footed shot from very close range to the centre of the goal. Attempt saved. Fabián Orellana (Celta de Vigo) right footed shot from the right side of the box is saved in the bottom left corner. Assisted by Iago Aspas. Daniel Wass (Celta de Vigo) wins a free kick in the defensive half. Foul by Roque (Las Palmas). Goal! Celta de Vigo 1, Las Palmas 0. Fabián Orellana (Celta de Vigo) converts the penalty with a right footed shot to the bottom right corner. Substitution, Las Palmas. Raúl Lizoain replaces Willian José. Javi Varas (Las Palmas) is shown the red card. Penalty Celta de Vigo. Iago Aspas draws a foul in the penalty area. Penalty conceded by Javi Varas (Las Palmas) after a foul in the penalty area. Attempt missed. Jonny (Celta de Vigo) right footed shot from outside the box is high and wide to the left following a corner. Attempt blocked. Nolito (Celta de Vigo) left footed shot from the centre of the box is blocked. Attempt missed. Roque (Las Palmas) right footed shot from the centre of the box is just a bit too high. Assisted by Sergio Araujo. Attempt saved. Nolito (Celta de Vigo) right footed shot from the left side of the box is saved in the centre of the goal. Assisted by Jonny. Pablo Hernández (Celta de Vigo) wins a free kick in the defensive half. Foul by Hernán (Las Palmas). Attempt missed. Fabián Orellana (Celta de Vigo) right footed shot from the centre of the box is close, but misses to the right. Assisted by Iago Aspas. Hand ball by Sergio Araujo (Las Palmas). Attempt blocked. Hugo Mallo (Celta de Vigo) right footed shot from outside the box is blocked. Corner, Celta de Vigo. Conceded by David Simón. Attempt blocked. Nolito (Celta de Vigo) right footed shot from outside the box is blocked. Nolito (Celta de Vigo) wins a free kick in the attacking half. Foul by David Simón (Las Palmas). Nolito (Celta de Vigo) wins a free kick in the defensive half.